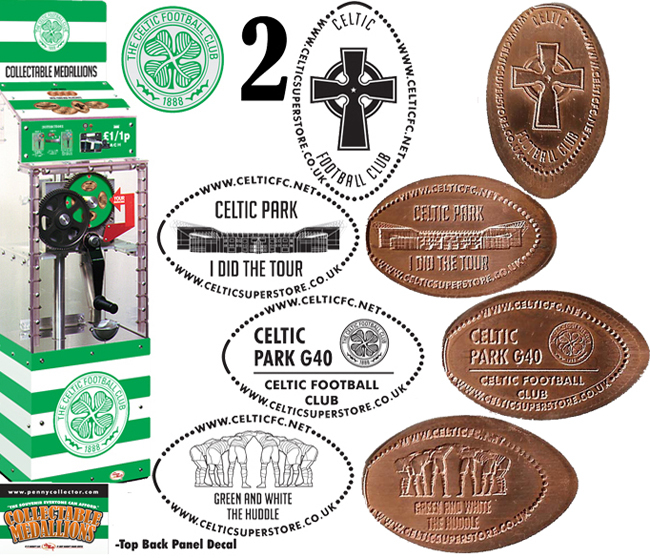 Celtic Park is a football stadium in the Parkhead area of Glasgow in Scotland. Located South East of the city centre. It is the home ground of Celtic Football Club. The all-seater stadium is also known as Parkhead and is nicknamed Paradise by Celtic fans. It is the second largest stadium in Scotland by capacity, after Murrayfield Stadium in Edinburgh. There are now two machines from the PennyMen at Celtic Park. One replaces the single machine in the shop, the other is situated on the stadium tour. Please check when the stadium tour is running to avoid disappointment. 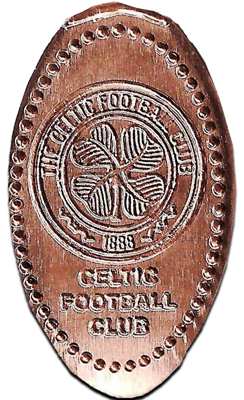 The single die machine was located in the club superstore. 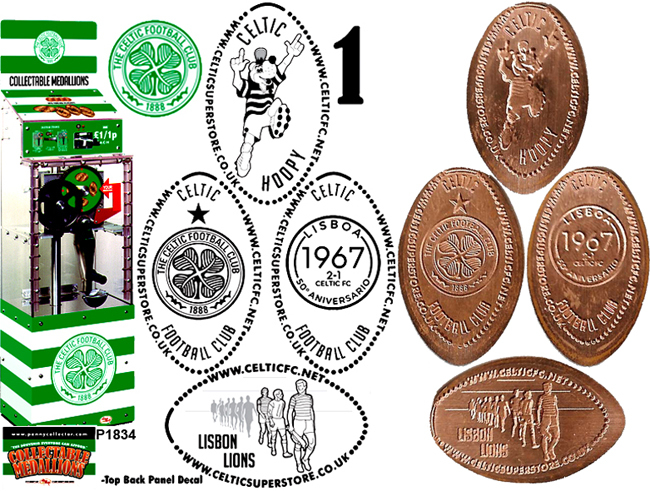 It was the acrylic case variety, branded Souvenir Penny. There is another single machine nearby at Rangers FC, Ibrox Park.